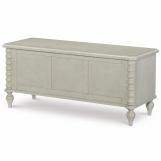 Grace offers a classic style updated for today’s consumers. 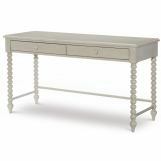 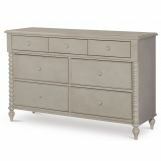 The spindle posts, elevated bun feet, soft shaped edges and flat drawer fronts add a vintage appeal to this collection. 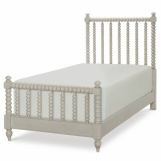 Multiple bed options in different sizes allow this group to go from youth to second bedroom. 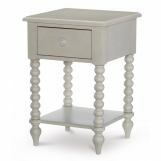 USB kits, underbed storage and several case options add function and storage, allowing you to create the perfect bedroom setting. 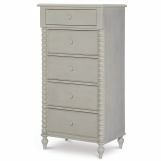 The Gossamer Gray finish with light distressing, worm holing and rub through add a touch of authenticity to Grace. 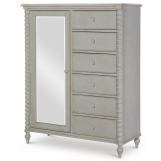 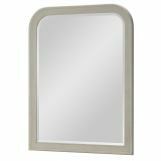 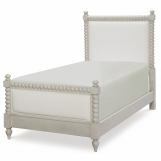 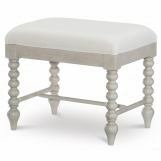 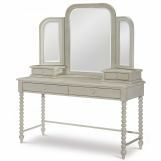 Crafted with hardwoods and Paint Grade veneers in a Gossamer Gray finish with light distressing and rub through. 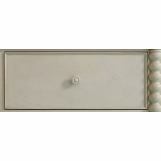 The wood knob hardware matches the Gossamer Gray finish.